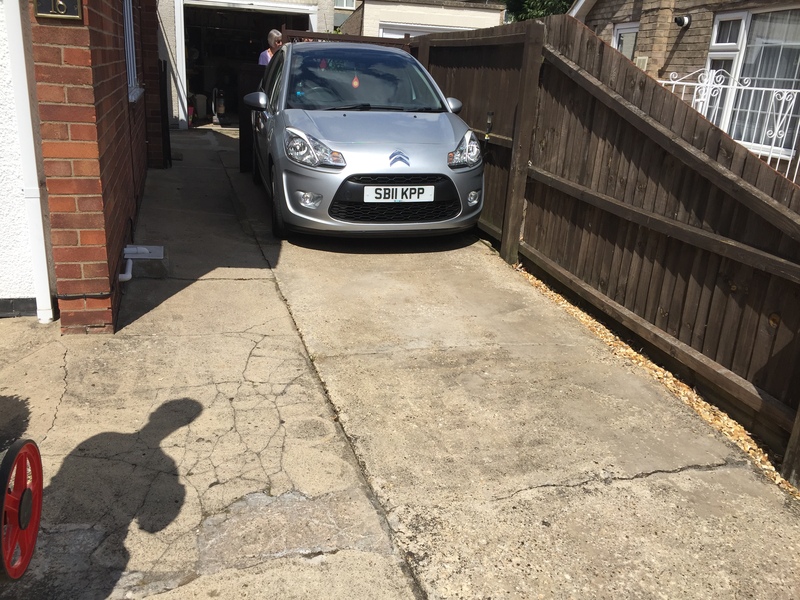 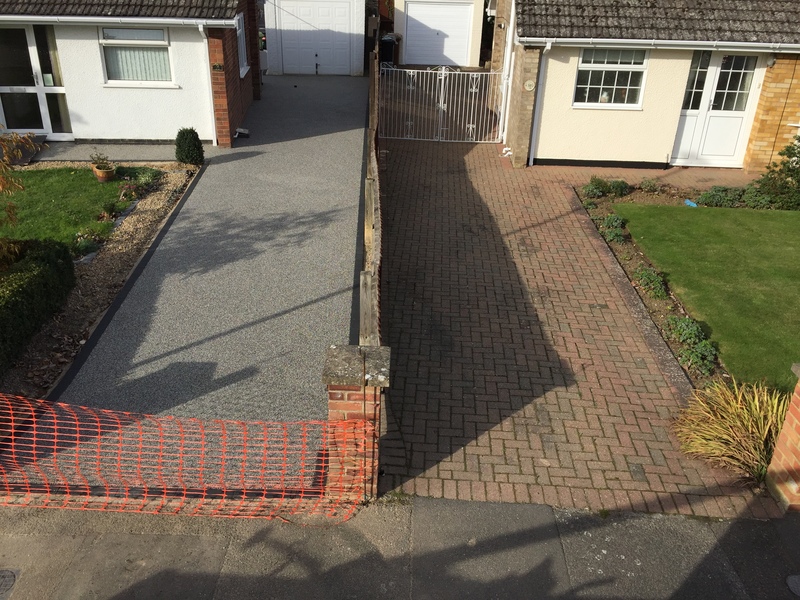 Our lovely clients wanted to improve the look of their property in Werrington Village by changing their worn out looking concrete driveway. 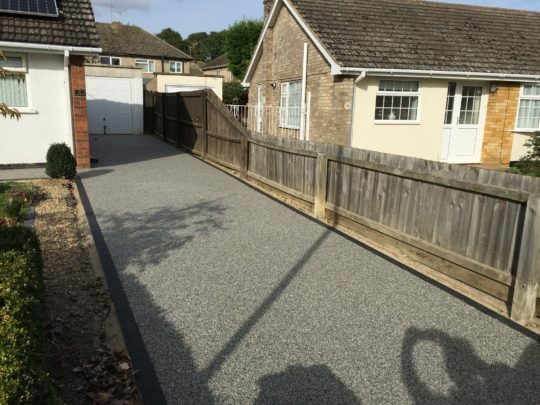 They were aware of Resin Bound and requested us to give them a free quotation and to see if their driveway was something that could be improved. 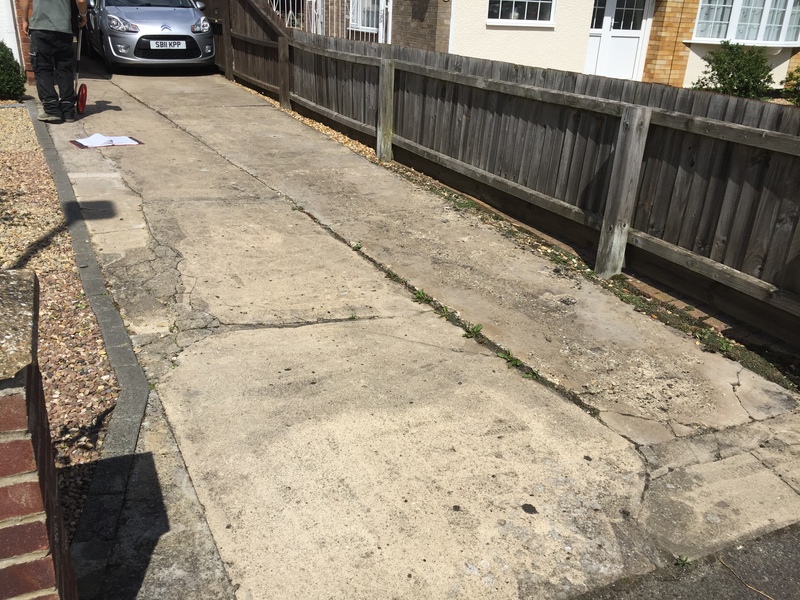 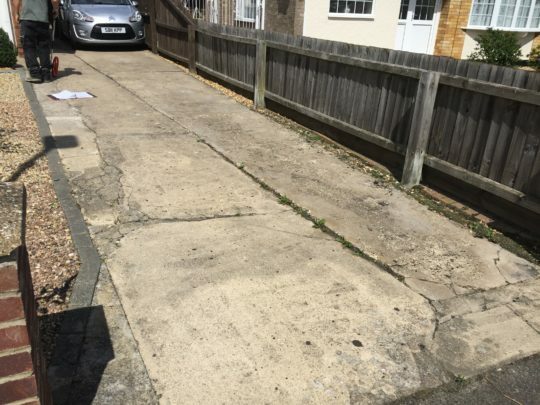 Although the driveway was not in the best of condition, it was something that could be cleaned up and repaired in places. 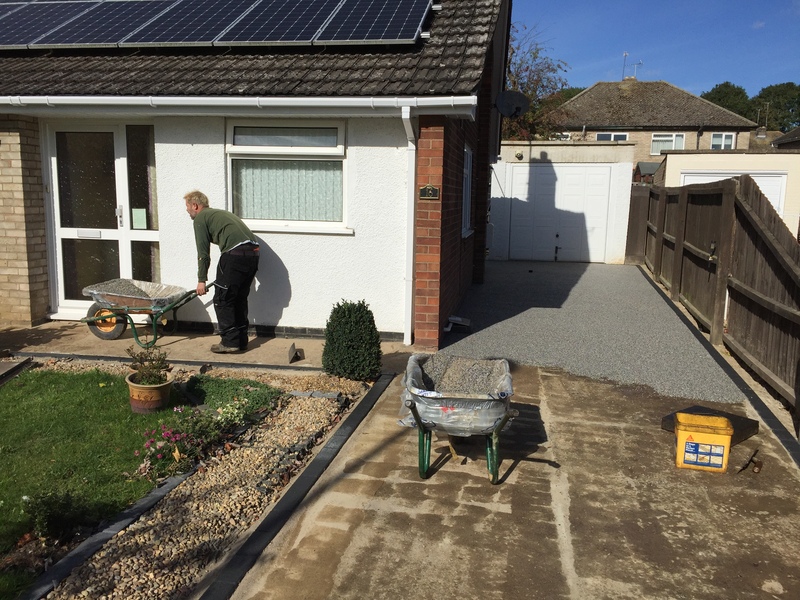 This means unlike a block paving install for example, we can avoid major excavation work and instead simply overlay they existing base. 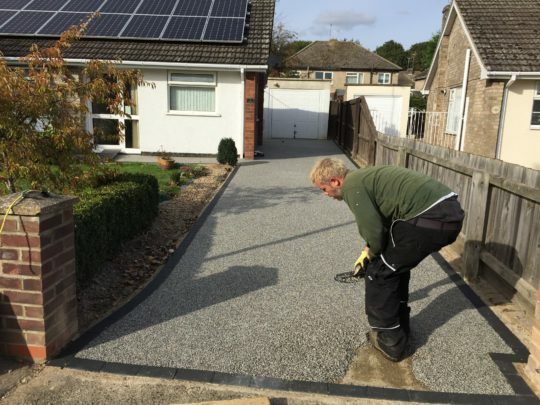 Overlaying an existing base not only speeds up the installation time of the project but also reduces the cost as less materials and labour are required. 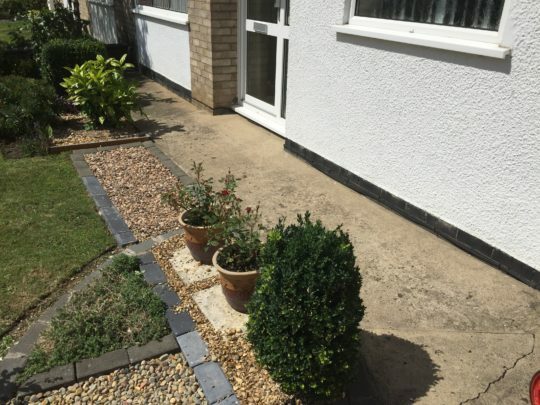 Our clients had looked at a few other installations we had carried out in Werrington and other areas of Peterborough and decided they liked the look of “Daltex Silver” complimented with new Charcoal edging blocks. We started the project by cleaning and repairing the existing base. 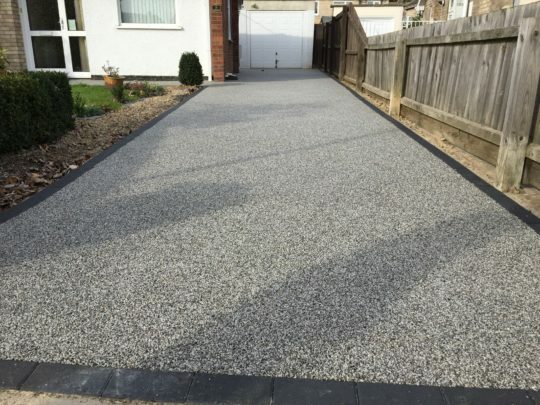 New edging blocks were then installed ready for the Resin overlay. Extra resin was used so we could increase depths to give a nice level install with the minimum trowel level at 18-20mm for vehicular traffic. The end result is a incredibly improved driveway that wont fade, wont suffer with Moss and Weed problems and as the surface is permeable it wont suffer with water pooling.